Alien invaders are hostile beings from other worlds that attack Earth in hopes of acquiring/capturing/exploiting our planetary resources. 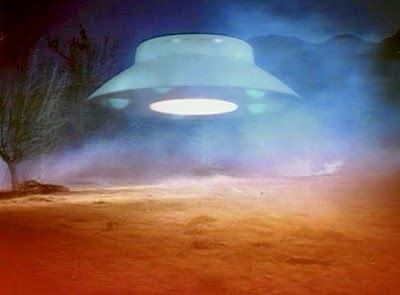 Alien invasions have appeared many times throughout cult-TV history, and they fall intro roughly three categories. In invasions of this type, aliens come to Earth in secret, their presence widely unknown by people. Essentially, the aliens operate behind-the-scenes to get their hands on our resources, building power in secret. 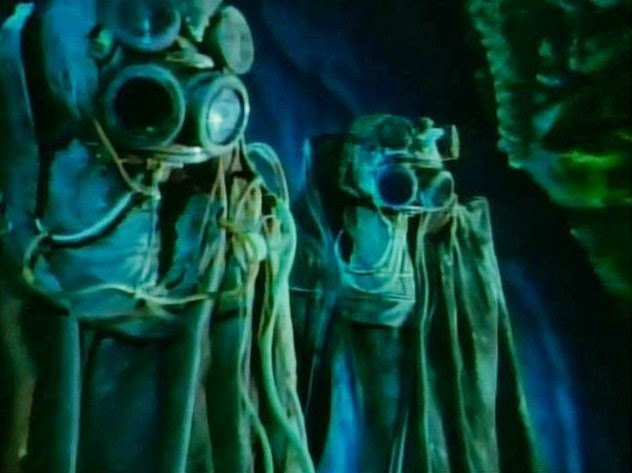 In The Outer Limits (1963-1964), the episode “The Invisibles” showcased one such alien invasion, in which parasitic creatures began to take control of key individuals in government and business, so as to alter the course of history…and gain power. 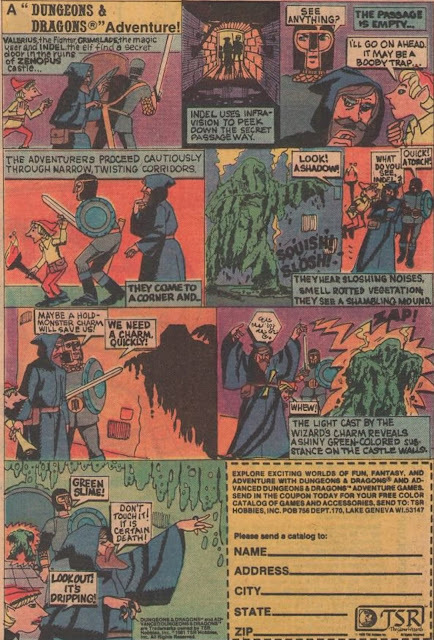 In Quinn Martin’s The Invaders (1967–1968), another secret invasion is launched, this time by nefarious aliens that appear completely human, save for an extended pinky. When these aliens die, they disintegrate, making it virtually impossible to prove their existence. The Martians of War of the Worlds (1988–1989) operate in a similar fashion. They act as terrorist cells, attacking key installations around the world, but are known to be aliens only by some governments, and their secret counter-alien teams. For the second season, the secret invasion went public.. The aliens of The X-Files (1993 – 1999) work in this fashion as well. Collaborating with turncoat humans, they make preparations for colonization (a euphemism for invasion…) to occur in the year 2012. The process of taking over Earth involves delivery of a plague, and a process whereby new aliens gestate inside human hosts. 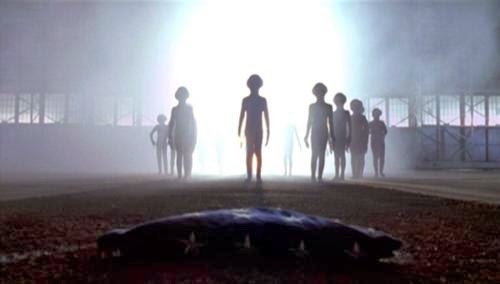 The Greys and ganglions of Dark Skies (1996) operate in a similarly covert fashion, acting as “puppet masters” that pull the strings of men and women in positions of power. In alien invasions of this type, aliens come to Earth -- and even announce their presence here – but there is a secret agenda. In other words, in the subversive invasions, humanity welcomes the aliens, only to be betrayed by them. The Twilight Zone (1959 – 1964) episode “To Serve Man” features a subversive invasion by Kanamits. They come offering peace and prosperity, but secretly want to harvest man as a food source. 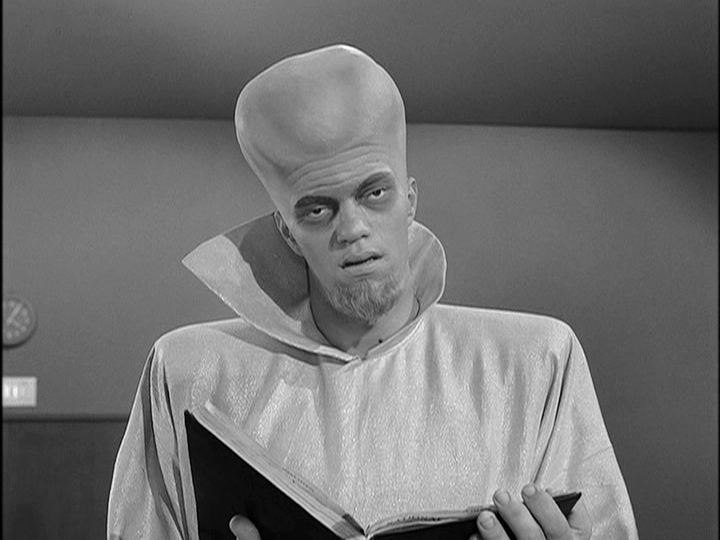 “To Serve Man,” of course, is a cook book. 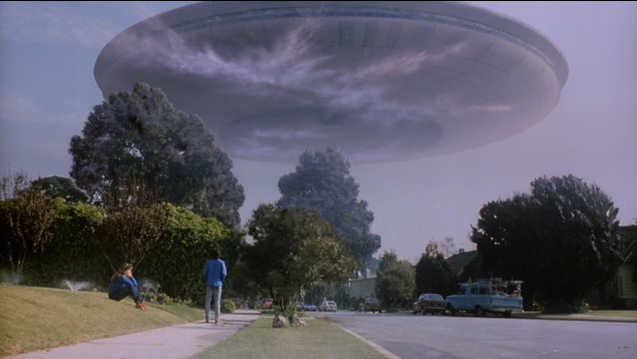 The most famous TV alien invasion of all time, perhaps, is from V (1983 – 1985). In this franchise, uniformed aliens arrive on Earth in giant mother-ships proclaiming that “friendship is universal” and that the Visitors are our friends. Nothing could be further from the truth, however. The Visitors have come to our little planet to steal our water, harvest our bodies as food, and use abducted humans as “cannon fodder” in the Leader’s wars. Earth: Final Conflict (1997 – 2002) tells a similar tale. Aliens known as Taelons come to Earth in the open. They offer humanity advanced technology in trade for sanctuary on our world. A resistance develops (just as it did on V) because many humans believe the Taelons are not as benevolent as they seem. 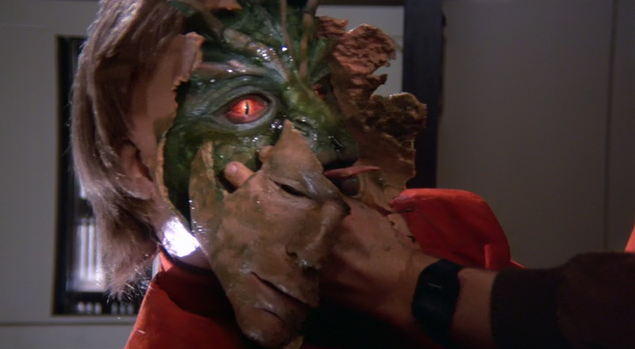 Sometimes in cult-television programming, aliens come to Earth and without pretense simply invade. They attack, attack, attack using superior technology, and humanity falls…leaving the planet new masters. 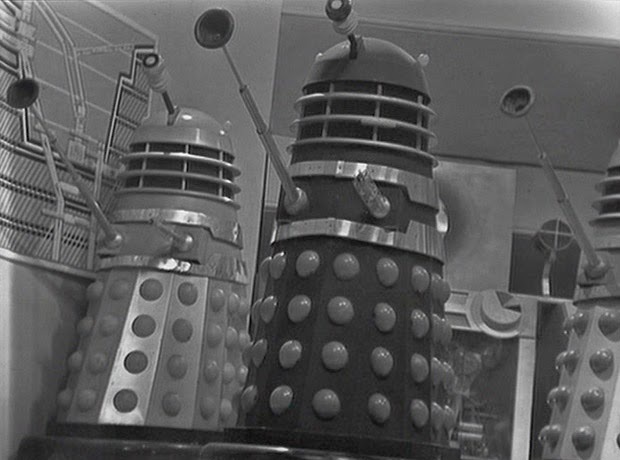 In 1966, “The Invasion” featured the Second Doctor (Patrick Troughton), battling an invasion of London by Cyberman. 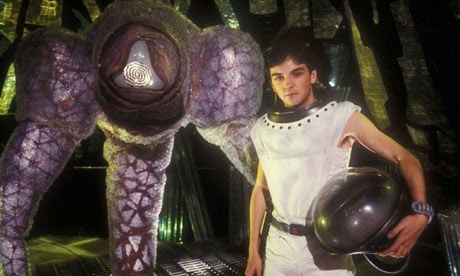 The All-Out War story has been featured on series including The Tripods (1984 – 1985), a series which saw humanity robbed of its technology, and adjusting to life as the servants of alien masters. The war was lost, a new order begun. Falling Skies (2011 - ) similarly tells the tale of alien invaders that have launched a war on humanity, and humanity fighting back against seemingly impossible odds. Some invasions don’t exactly fit the three-part pattern I noted above. 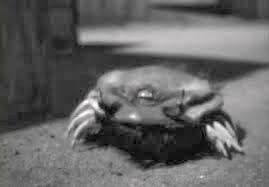 Doctor Who has featured more invasion stories than just about any series in history, and it has thus conceived every variation possible on the theme. 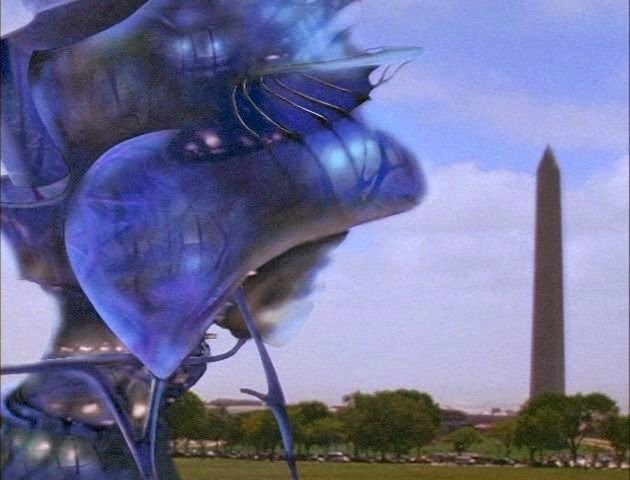 Kraals launched an abortive attempt to invade Earth in “The Android Invasion,” Sycorax invaded in “The Christmas Invasion,” and so forth, and these aliens used a combination of science and trickery to keep Earth in the dark about what was really occurring.